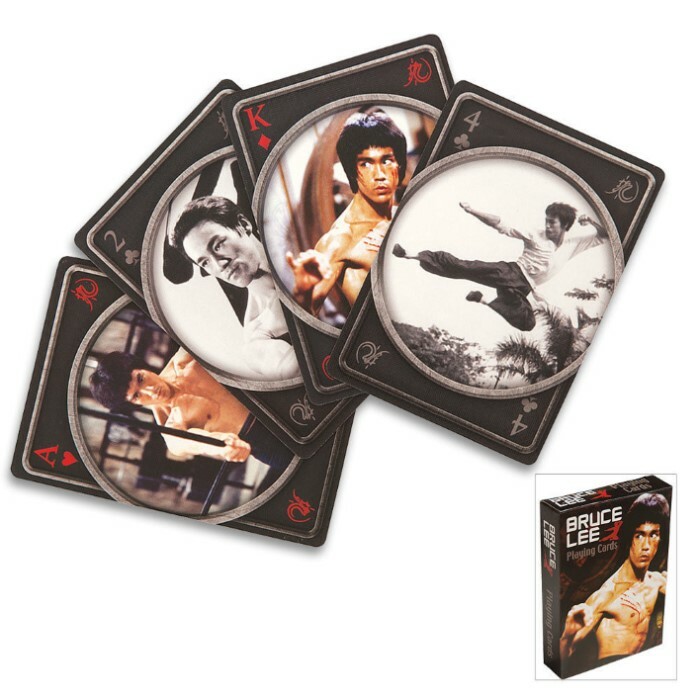 This deck of playing cards features Bruce Lee who is generally acknowledged as the most influential martial artist of the last century. Each card contains a picture of Bruce Lee. Perfect for Bruce Lee fans or martial arts enthusiasts. Contains 52 cards. 2 1/2 in. x 3 1/2 in.